I haven’t eaten this kind of thing for 30 years. It’s funny how important this was to us as kids, on a visceral, existential level. When your kids scream that they have to have it, they’re not kidding. You could not reason with me back then over this (look, it’s Wholesome!). And if you instead bought the generic store-brand sweetened cocoa-flavoured puffed rice, I would have had an epic temper tantrum. 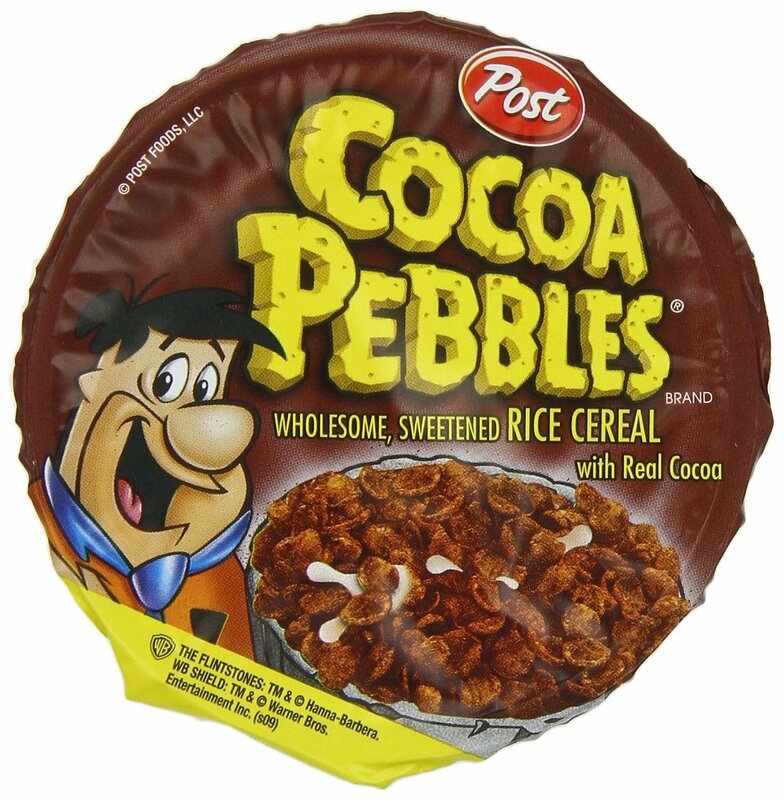 I wonder what Post paid for the licensing rights to use the Flinstone characters for their cereals. I wonder how much of that Fred Flintstone actually saw.